TeenServe is coming to Pine Island, MN this summer. Deadline to apply is April 15.
with questions, to *volunteer or apply for assistance. Locally, you can also contact JoAnne Cluth @ 507-398-6712. Looking for 4-5 people to serve on a playground task force to design and research a playground for URLC. We will start meeting in May (maybe between services so no night meetings!) If you are interested please talk to Cindy or Marggi!! Let’s make this happen for our kiddlings!! We have rented a VRBO (Vacation Rental By Owners) on the shores of Lake Pepin for 14 women-all ages! Come and join in relaxing, swimming, kayaking, walking, running, shopping and eating (food will be on your own)! Bring a friend and enjoy the warmth and beauty of summer. The cost is $50.00 per person for the 2 nights. … Can you believe it, summer is around the corner!?! Sign up on Pastor Marggi’s door. Looking for chicken or rabbit manure for the church gardens this summer. If you have some for us, please contact Jaycee Nilson or Mary Rohe. Our closet held more than 50 jacket/hat/mitten “sets” at the beginning of the cold weather season. Thanks to all who contributed. Now it’s time to replenish our supply, to keep local growing kids warm. 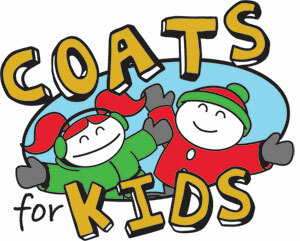 Please consider donating jackets (we can wash and repair), and consider shopping at garage sales, resale shops, donation centers (like the Salvation Army stores), or your own closets to help us have coats on hand for cold kids. The most needed sizes are children’s 8-16, youth and adult sizes. “Z-M Cougar” wear welcomed. There is also a high demand for waterproof gloves for elementary students. The Closet is located on the lower level “hallway” and items can be left there.